We know you’re looking for a “dispensary near me” and that you’re trying to find marijuana. So we put together this list of dispensaries below. Ever Google: marijuana dispensary near me or marijuana dispensaries near me or cannabis clubs near me looking to find marijuana and then get hit with a site wanting to know your location? If don’t want people to find you while you try and find marijuana you’re in luck. Who likes to give up your whereabouts any how? You can find marijuana near you by using our list. it’s an easy-to-use directory (below) that will help you find weed in no time. Looking to score some local medical marijuana? Or maybe you’re planning a trip to Colorado and want to find marijuana there? No problem our list is perfect because it list every recreational marijuana store in the state including their address and phone number. They’ll pop right up on your phone so you can give them a call or grab directions. We update THE LIST on a regular basis. If you’d like to add a medical marijuana dispensary, delivery service or a recreational marijuana store in Colorado, please contact us so we can add it to THE LIST—our easy-to-use medical and recreational marijuana directory that makes it easy to find marijuana. The convenience of a marijuana dispensary, collective or delivery service wasn’t something patients had protected access to until 2003. That’s when Senate Bill 420 was signed into law here in California by then Governor Grey Davis. SB420 clarified the scope and application of the nation’s first medical marijuana law, California’s Proposition 215, also known as the Compassionate Use Act. Prop 215, passed in 1996 allows patients with a valid doctor’s recommendation to possess and cultivate marijuana for personal medical use. Today there 21 Legal Medical Marijuana States and DC. They include Alaska, Arizona, California, Colorado, Connecticut, DC, Delaware, Hawaii, Illinois, Maine, Maryland, Massachusetts, Michigan, Montana, Nevada, New Hampshire, New Jersey, New Mexico, Oregon, Rhode Island, Vermont and Washington. And of course Colorado and Washington legalized recreational marijuana in November 2002. 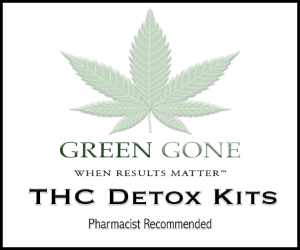 This page is updated on a regular basis as new medical marijuana dispensaries, collectives, delivery services and recreational marijuana locations emerge.